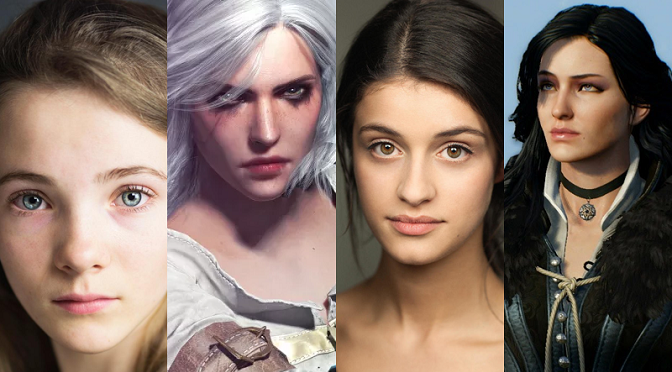 Some huge casting news for Netflix’s The Witcher series has just been revealed, dear readers! The streaming service has just confirmed the two actors who will portray two of the more crucial characters in the epic fantasy series. It boils down to a couple things. One, this property has such a passionate fanbase. I think any leak at all was going to attract this type of attention, and with any attention comes backlash to that attention. I do think that whatever information is trickling out there, there will be people responding positively to it and people responding negatively to it. I think that’s just part of making a television show, and especially a show this big. In terms of why people responded so strongly, I think the fans really have pictures of these characters in their minds and I don’t blame them for that. I get it. When I read my favorite books I certainly imagine characters a certain way. There’s obviously a couple lines of description of Ciri in the books and people become very enamored with their own vision of it. I think coming in as a writer and saying my vision might look different than yours is scary for fans, but truthfully I don’t think it has to be. One of the things I feel most strongly about is people being afraid that we’re going to strip out the cultural context of The Witcher, to remove its Slavic roots, the very thing people in Poland are proud of. That couldn’t be further from the truth. What I’ve always wanted to do is take these Slavic stories and give them a global audience. The Netflix series is directly inspired by the original fantasy novels written by Polish author Andrzej Sapkowski (about whom we wrote recently), but Hissrich stated that she is a “huge fan of the games” (developed by CD Projekt Red). With Ciri and Yennefer being a large and integral part of the story, fans of The Witcher lore are keenly aware of how these two should be portrayed. With Ciri playing a major (and pivotal) role in the smash-hit The Witcher 3: Wild Hunt, and the powerful sorceress Yennefer being one of Geralt of Rivia’s main love interests (she’s still that in the series, by the way), a lot of us are really hoping for a faithful adaptation. 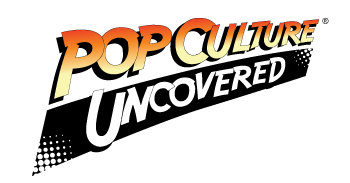 There have also been more casting confirmations for this highly-anticipated series. Queen Calanthe of Cintra will be played by Jodhi May, and King Eist will be played by Björn Hlynur Haraldsson. Additionally, Adam Levy is set to play Mousesack the Druid, MyAnna Buring will portray Tissaia (the head of a magical academy), and Therica Wilson-Read & Mimi Ndiweni will appear as Sabrina and Fringilla (respectively) – two apprentices in said academy. Finally, Millie Brady (Pride and Prejudice and Zombies) will play the outcast princess, Renfri. The Witcher cast as it stands so far: From top left to bottom right: Henry Cavill, Anya Chalotra, Freya Allan, Jodhi May, Mimi Ndiweni, Therica Wilson-Read, Millie Brady, Adam Levy, Björn Hlynur Haraldsson, and MyAnna Buring. With the news of this big casting, as well as Lauren Schmidt Hissrich’s confirmation that the series is “in prep” to start production, Netflix’s The Witcher is shaping up to be a great-looking series. Having a show-runner who is familiar with the source material, and great actors who are able to get into a fantasy / sword-and-sorcery headspace will undoubtedly add to the already huge appeal of this series. What are your thoughts on the cast list for Netflix’s The Witcher, friends? Let us know what you think by leaving a comment below, or by hitting us up on Facebook and Twitter! I love the games but the backlash of Ciri casting has turned me off hard. I know it’s a Polish game but it would have been nice to see any people of color in the show. I feel if it’s super like the games then it will be an only white cast.